In case you are new around here this is where the Admin (me) chooses one excellent photo nominated by other members from the Member's monthly choice forum. Once 10 images are nominated, I choose a 'winner'. Just so it's clear, the photo I choose are not necessarily the best ones of the month. I've come to realize it's not logical to pit images from totally different genres against each other. That's why there are categories in photo contests. My goal is to simply choose an excellent photo and talk about why I think it rocks. 1 - Colour/exposure - The colour here was well seen with the yellow sign matching the owl's yellow eyes and blending into the yellowy background. Exposure is well handled with lovely non-clipped white tones. 2 - Sharpness/aperture - The eyes look razor sharp as they should be and I really like the super-shallow depth of field that separates the owl from the background. 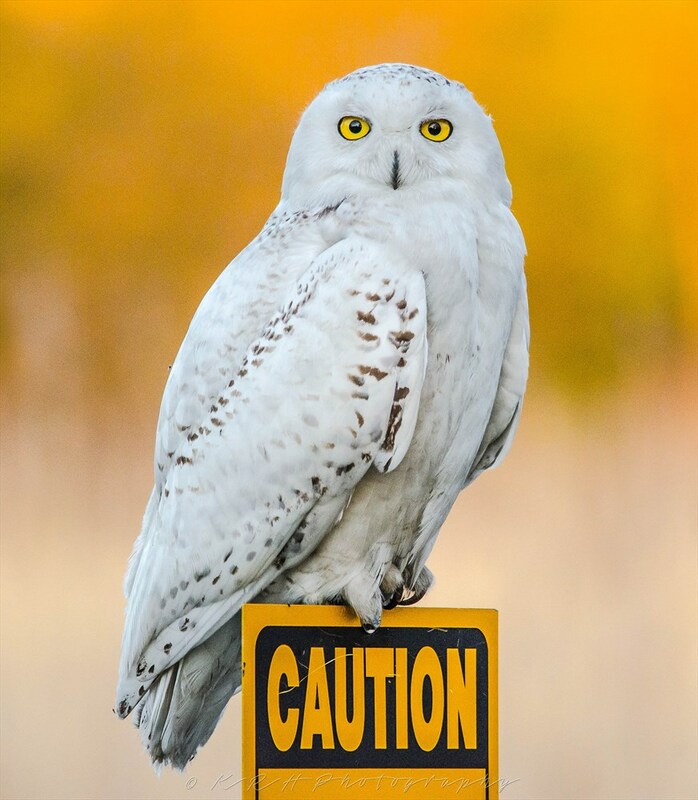 3 - Framing/composition - Unlike many compositions that include words that become a distraction, here the word 'caution' on the sign compliments this composition big time. We see the owl's direct intense stare as well as its sharp claws and we should indeed take caution. I very much like the scratch marks on the sign that may well have been the result of those sharp claws. For all these reasons, this is my choice for this round. Since we all have opinions, some members may disagree with my choice. That's cool but THIS thread is not the place for debate over my pick, NOR is it the place to further critique the image. The purpose here is to suggest strong elements in the photo that we may learn from. Last edited by Rdbender; 07-04-2015 at 02:19 PM.